Karen Verwey is one of two new police officers to join the Cambridge Police Station. Police numbers have been boosted in Cambridge with the addition of two new staff at the end of 2018, but police won’t say whether more are being lined up. New Zealand Police confirmed the two police officers brought to Cambridge in November were the only officers added to the station since a 2016 reduction, not counting staff replacements. Police say they will only name one of the two new staff – Karen Verwey – because the other officer had not given his consent to being named. Cambridge lost its 24/7 police base, as well as two Cambridge-based detectives in 2016. Then there were complaints when Waikato Police announced 12 months ago that Matamata, Te Kuiti and Thames police stations would go 24/7. A near $300 million budget increase announced last year paved the way for an eventual increase of 1800 police across the country. It included 127 police officers being added to the Waikato over the next five years, 23 of which were added before the end of the year. This included two for the Cambridge Police station in November. Police will not say whether any of the 104 to come will be assigned to Cambridge, but there are suggestions the North Waikato centre will be the prime beneficiaries. The November additions were welcomed by Mike Pettit, Cambridge Community Board chairman, because it gave police the flexibility to reintroduce 24-hour shifts. “The Cambridge Community Board, over the past three years has strongly advocated to have our policing levels back to what they were in 2015. We advocated for this based on statistics that showed crime in Cambridge was on the increase,” he said. After Fez Kebab in Leamington was burgled on July 31, 2016, a petition was launched calling for the return to 24/7 policing in Cambridge. It was supported by Cambridge’s Taupo electorate MP Louise Upston. At the time she said police were a separate entity from the government and made their own decisions as to where personnel would be deployed. Prompted by a rise in burglary rates in Cambridge, volunteers formed the Cambridge Community Patrol in early 2017 and monitor the town at night. It continues to operate. 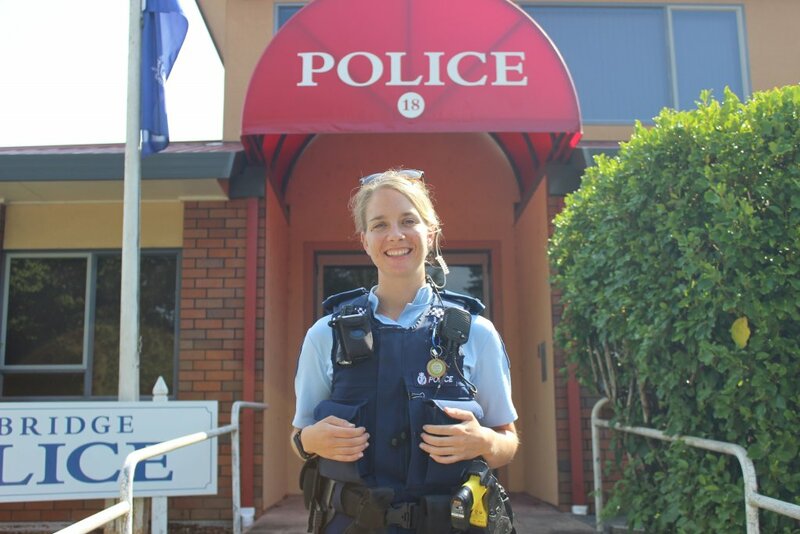 New Cambridge recruit Karen Verwey, from Te Puke, became a Police officer last August and spent her first three months on the job in Hamilton – one month in field training and two months in the tactical crime unit. The 27-year-old constable said she was drawn to the police force by the variety of work. “You never know what sort of job you’re going to get from day to day,” she said. As for Cambridge, she said, “It’s definitely a fun community to work in”.